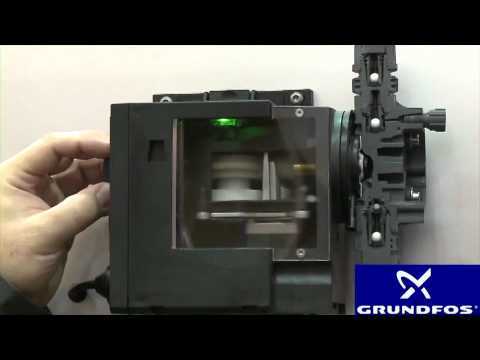 Grundfos DDA Pumps produce accurate dosing of chemicals because of the Stepper motor technology. The stepper motor in a simple explanation works like a syringe. The plunger is pulled smoothly back and fourth driven by the stepper motor. 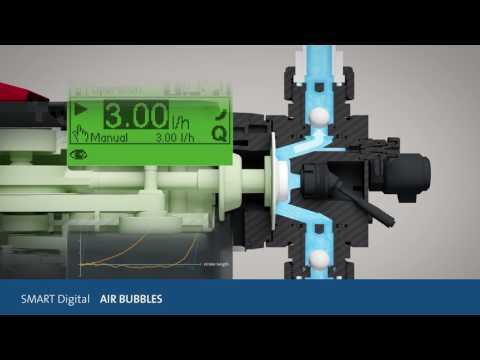 This is why the Grundfos DDA Pumps are highly accurate for drinking water and wastewater treatment to industrial processing in the pharmaceutical, chemical, and food & beverage industries, dosing exactly the right amount of chemicals is important in order to reach process targets, and in order to lower operation costs while ensuring process safety and reliability. Intelligent dosing pumps with high technology drive and adjustment mechanisms represent the ideal solution for increasingly complex dosing. They make life easier for users by keeping processes running precisely, reliably and cost-effectively. Grundfos SMART Digital dosing pump range, available since 2010, is recognized for its state of the art monitoring features that ensure dependable, safe, and economical dosing operations, and for its industry-leading accuracy. The SMART Digital S DDA, DDC, and DDE and the SMART Digital XL DDA and DDE are all based on tried and tested Digital Dosing™ technology from Grundfos. They offer powerful, variable-speed motors, a universal power supply, and a full-PTFE diaphragm that meets the most demanding requirements for chemical resistance and durability. The pumps open up a broad range of dosing applications. Grundfos DDA pumps are for complex and demanding applications where the focus is on maximum process reliability. It offers FlowControl, pressure monitoring, AutoFlowAdapt, and integrated flow measurement. The package for industrial applications is rounded off by additional operating modes such as a week dosing timer and auto-deaeration. The pumps are extremely easy to use thanks to the click wheel. The DDA and DDC models offer straightforward, intuitive navigation via a graphic LC display in more than 28 languages, allowing the user to set the required flow directly on the display in gph, ml/h, or l/h. The large display indicates pump status by changing the back light color. This allows for quick and easy control of pump status. The high turn down ratio significantly reduces the number of different models required. All models have a universal mounting plate for all widespread mounting methods. The pump can quickly and easily be removed from the mounting plate. The control cube can be mounted facing left, right, or straight ahead. Maximum flexibility is further ensured by a wide range of adjustment options and supply voltages (100-240 V, 50/60 Hz), and a hydraulic connection kit. Optional E-box and CIU boxes enable SMART Digital pumps to be integrated – and even retrofitted – in common standard fieldbus networks.